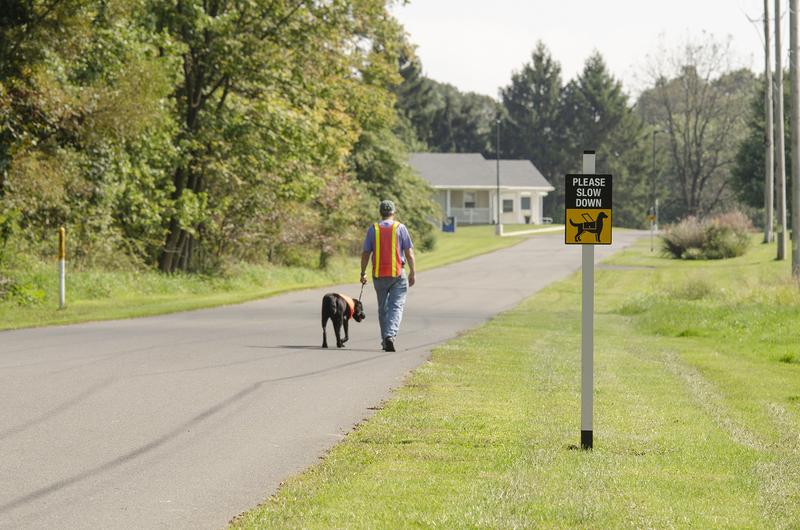 The mission of Canine Partners For Life is to increase the independence and quality of life of individuals with physical, developmental, and cognitive disabilities or who are in other situations of need. 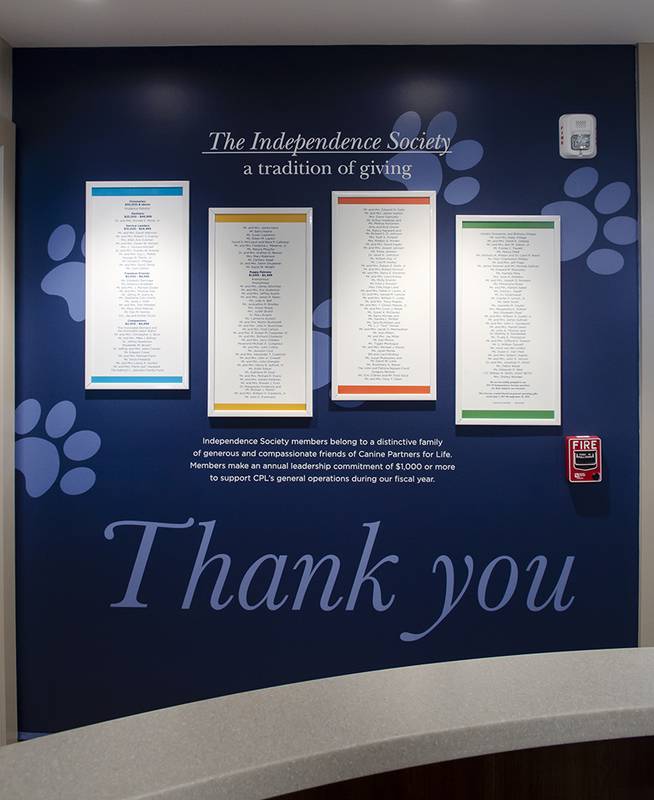 Create a recognition wall to thank Independence Society Donors that can be easily updated each year in a cost-effective manner. 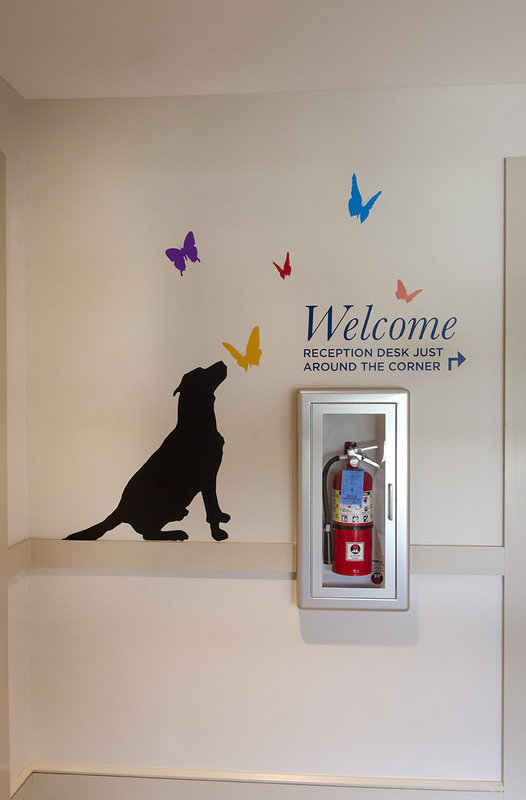 We added a die-cut of a paw print as a background to a signature blue wall to add whimsy and dimension. These elements along with the header and footer statements anchor the frames that hold the donor names. 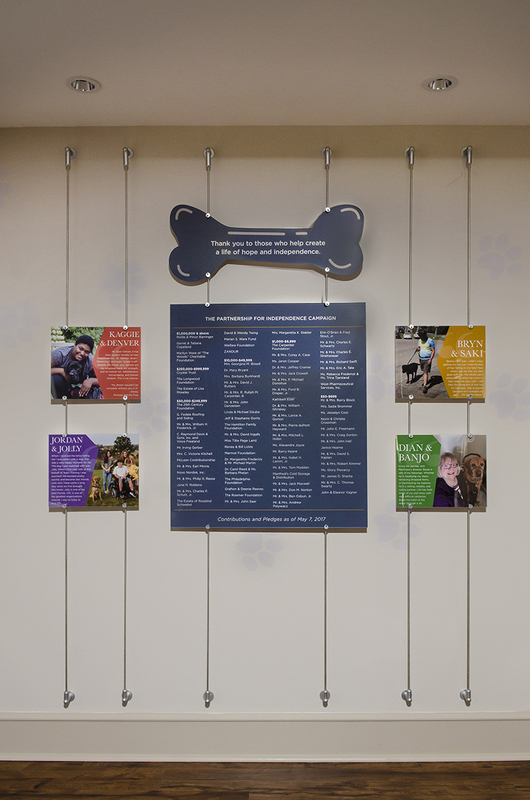 To keep the wall cost-effective to update, all Canine Partners for Life has to do is replace the donor lists inside the snap frames with the new information. 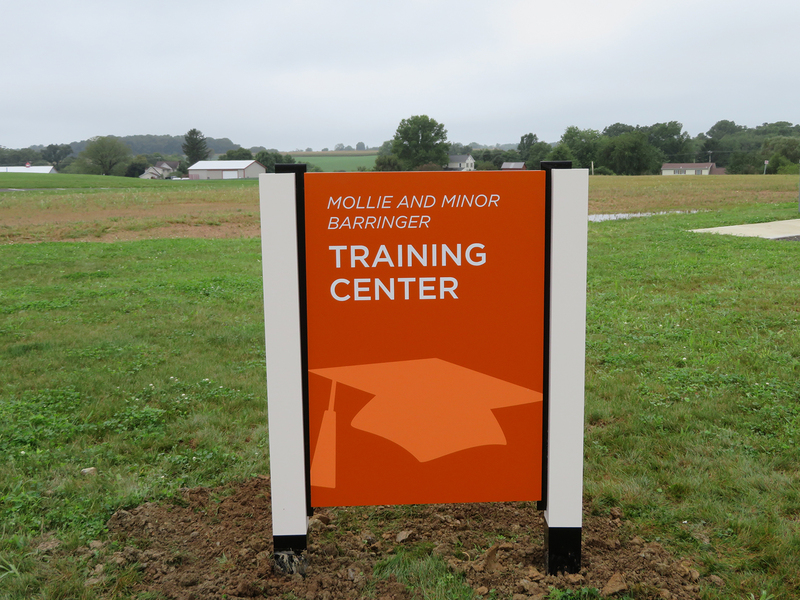 Read more about this project in our case study. 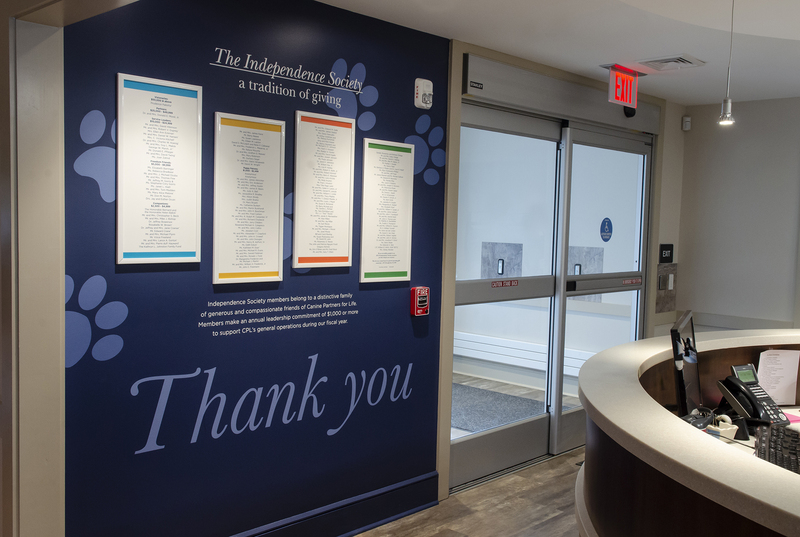 Create a recognition wall to thank donors who funded the Canine Partners for Life capital campaign, as well as highlight success stories of the individuals who use Canine Partner for Life’s services. 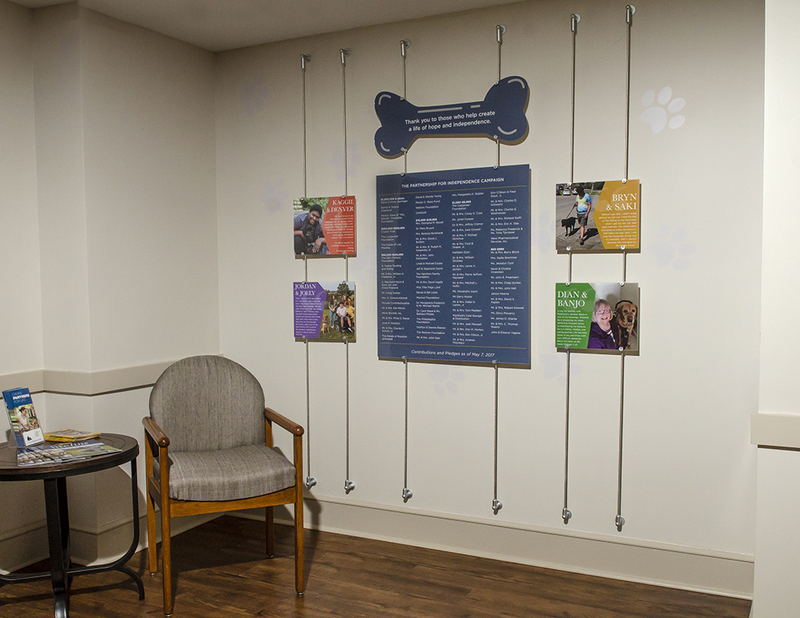 Back mounted plexi pieces attached to a clip and cable system make this recognition wall easy to update. Read more in our case study. 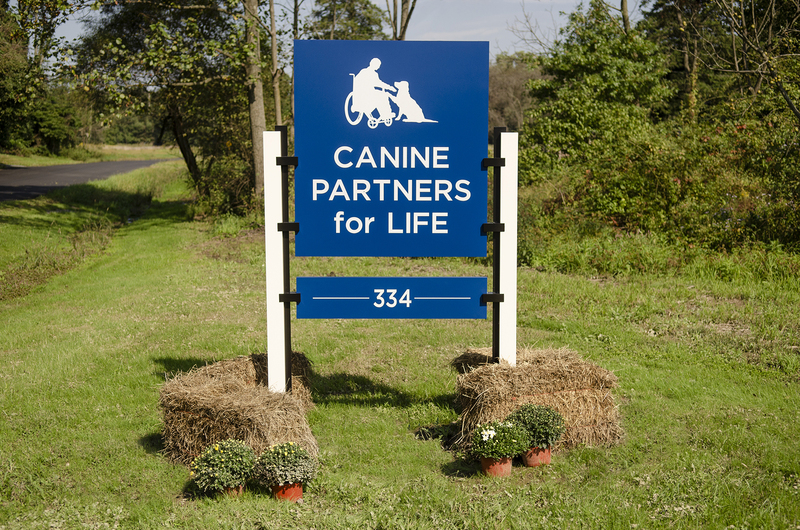 Create a wayfinding system and new monument signage for Canine Partners for Life’s campus. 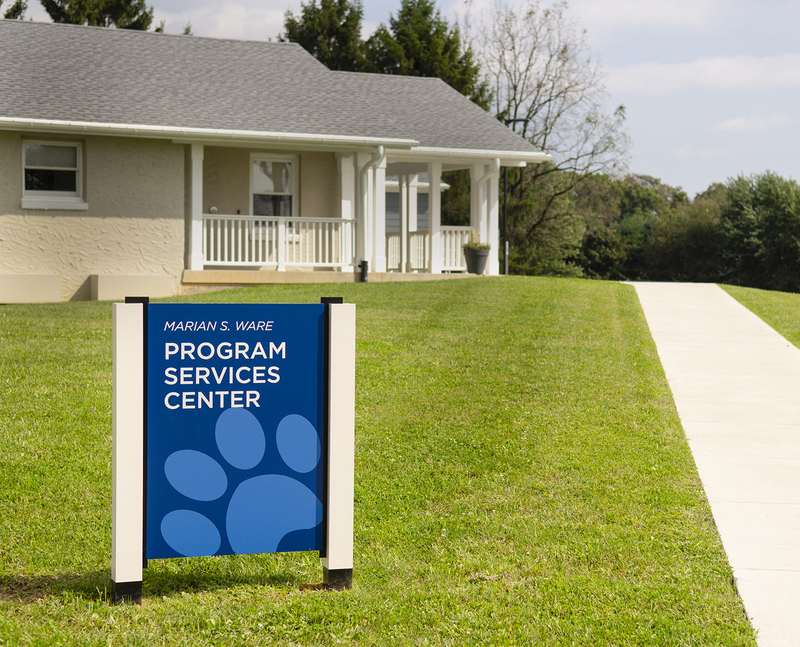 We chose a color palette that compliments the Canine Partners for Life signature blue for each building. 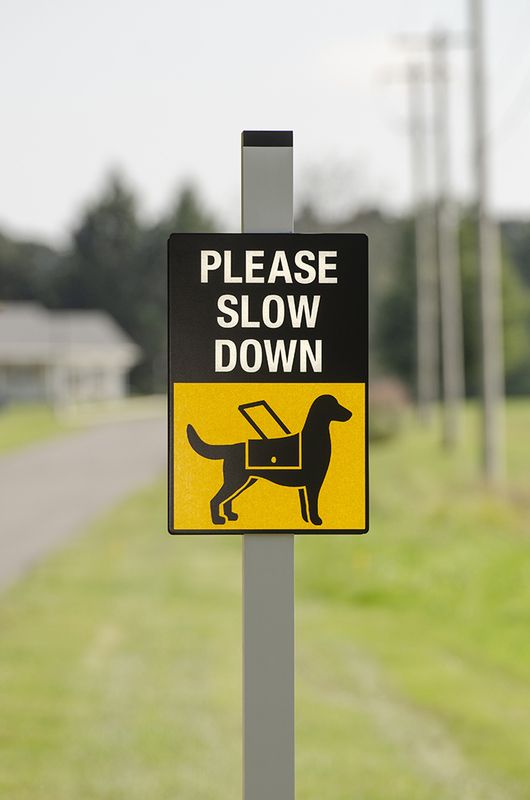 The color helps act as a secondary source of information when guiding visitors around the campus.Traffic signs remind visitors to take it slow and keep an eye out for dogs when driving. 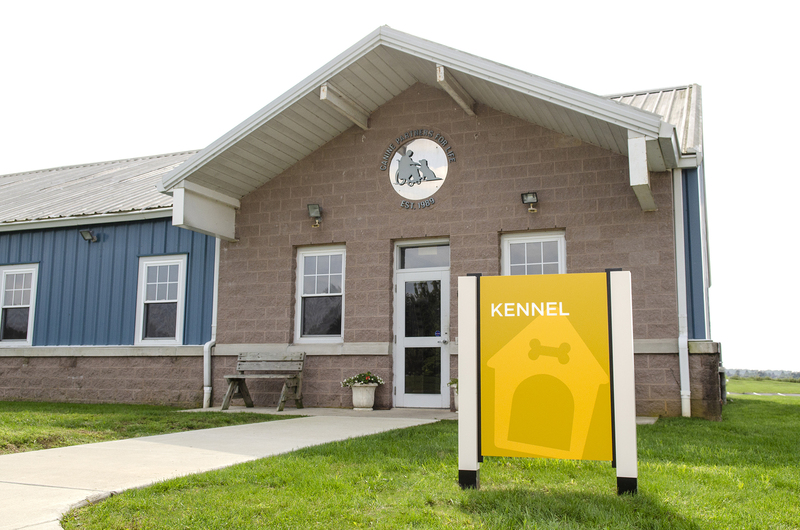 Learn more about our process in our case study.